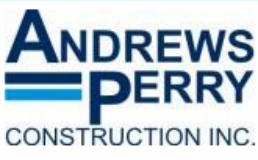 Andrews-Perry Construction, Inc. have been licensed septic installers and repairers since 1988. In 2002 we added septic tank cleaning to our services. Septic tank pumping on a regular basis is a key component to maintaining the life of your septic system. It is recommended to have the septic tank pumped out every two to five years depending on occupancy and usage. Regular tank pumping helps to prevent solids from building up in the tank and exiting into the leaching fields. Use of a garbage disposal or septic tanks less than 1,000 gallons require more frequent cleaning. ​The key reason for regular pump-outs is to prevent solid matter from entering the leach fields. As solid matter enters the septic tank, bacterial action inside the tank naturally breaks down the solids into sludge which then settles to the bottom of the tank. As the sludge layer builds inside the tank, it is more likely to become stirred up each time fluids enter the tank through the inlet. When this happens solid matter may begin to travel out of the tank along with the fluids into the leaching area. Over time the solid matter can clog the leaching area so that fluids can no longer properly exit the septic tank or drain into the underlying soils. Once the leaching area is damaged and no longer functioning correctly, you have a costly septic repair on your hands. Regular tank cleaning is a necessary and relatively inexpensive way to prevent this potential problem. A good rule-of-thumb is to have the tank cleaned out when the sludge layer occupies 1/3 of the septic tank. Septic system cleaning costs range from $280 to $350 to pump the tank depending on tank size. There is an additional charge of $20 per lid for reasonable hand digging to expose the tank lids, but this cost can be avoided if you expose the lids yourself. (Never open the septic tank cover - this will be done by a licensed tank cleaner.) This equates to just about $100 annually to help maintain the life of your septic system. Prices are subject to change. Installing risers to bring the tank lid within 12" of the final grade as required by the Technical Standards of the Connecticut Public Health Code effective January 1, 2000. Replacing the outlet filter. Filter cleaning is included in the pumping service, however if the filter is deteriorated or appears to be not functioning a recommendation will be made to replace the filter. Excessive solid buildup. This can occur by not having the tank cleaned regularly and it can take considerably more time to pump and empty the tank. Additional hourly rates apply when dealing with excessive solids. Andrews-Perry Construction is fully insured.